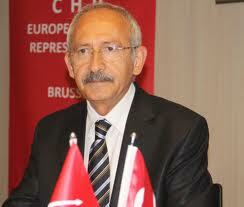 The number of journalists jailed in Turkey increased almost five-fold between 2015 and 2018, according to a report released by main opposition Republican People’s Party (CHP) lawmaker Utku Çakırözer. At the end of 2015, the number of jailed journalists was 31, while the figure skyrocketed to 145 by December this year, Çakırözer said. “Over 400 years of prison sentences given to 74 journalists in the first 11 months of 2018 have been finalized [in courts],” the CHP MP said.